Ann Arbor on the east side and Grand Rapids on the west are widely regarded as the most prosperous and desirable metropolitan areas in Michigan. But Kalamazoo-Portage and Battle Creek in Southwest Michigan surprisingly outpaced Ann Arbor, Grand Rapids and all other metro areas in the state in economic growth over the past decade. An exclusive, in-depth analysis of gross domestic product data by Bridge Magazine found that not only did Kalamazoo and Battle Creek lead 12 other metro areas, they were the only places in the state to boost output by at least 1 percent between 2001 and 2009, the latest year for which data was available. GDP is the total value of goods and services produced, measured in dollars. This Bridge analysis portrays a state fighting to regain its footing after an unprecedented decade-long slump. The statistics are crucial in understanding the changes occurring in state and regional economies. They provide valuable information for policymakers in guiding investment decisions and for citizens in making career and location choices. One thing is clear: Michigan is not a single economy, but a collection of regional economies with strikingly different strengths and weaknesses. The health of regional economies is crucial to the state’s future. More than 85 percent of all goods and services in Michigan were produced in 14 metro areas over the decade. “We mythologize the benefits of small-town America, but it's the major metros that will continue to drive Michigan’s economy,” said Bruce Katz, director of the Metropolitan Policy Program at the Brookings Institution. “Why? When cities collect networks of entrepreneurial firms, smart people, universities and other supporting institutions in close proximity, incredible things happen,” he said. In Michigan, the top-performing metro areas over the past decade were those that had a diverse mix of employers and, usually, the presence of a university. Growth in Kalamazoo and Battle Creek, while not spectacular, still was remarkable in a state that underwent a brutal restructuring of automotive and pharmaceutical industries, among others, over the past 10 years. “The pharmaceutical industry held its own. Western Michigan University is important. And there’s been growth in the health care industry,” he said. Battle Creek benefited from growth in food manufacturing and health care, Erickcek said. Only three of Michigan's 14 metro areas held their economic ground or grew between 2001 and 2009, while the other 11 experienced economic contractions ranging from 1 percent to 16 percent. Ron Kitchens, president of local economic development agency Southwest Michigan First, said Kalamazoo responded to the loss of a General Motors Co. stamping plant and substantial downsizing in its pharmaceutical industry in the 1980s and 1990s by growing its small-business base. One of those is Fabri-Kal Corp., a maker of plastic food packaging projects. The company is investing $17.3 million in a local plant that will add 30 slots to its 72-employee work force, according to Kitchens and a recent report in the Kalamazoo Gazette. Kalamazoo’s growing health-care and educational sectors, combined with affordable real estate, make it a good choice for people to relocate and rebuild their financial lives, the report said. MSN Real Estate also cited the Kalamazoo Promise as a reason to move to the area. The Promise, funded by an anonymous donor, provides full scholarships to a public university or community college in Michigan to students who attend Kalamazoo Public Schools from kindergarten through their senior year. Enrollment in Kalamazoo Public Schools has jumped by 1,300 students since the Promise was announced in 2005, Erickcek said. Research by the Upjohn Institute found that many of those students came from local private and parochial schools. Upjohn has been unable to determine a positive impact on property values in the school district. Homes just outside the school district’s borders are selling for prices about the same as those in the district, Erickcek said. But Kitchens said the Kalamazoo Promise has helped buttress the real estate market and made the metro area a more attractive place for residents and business growth. 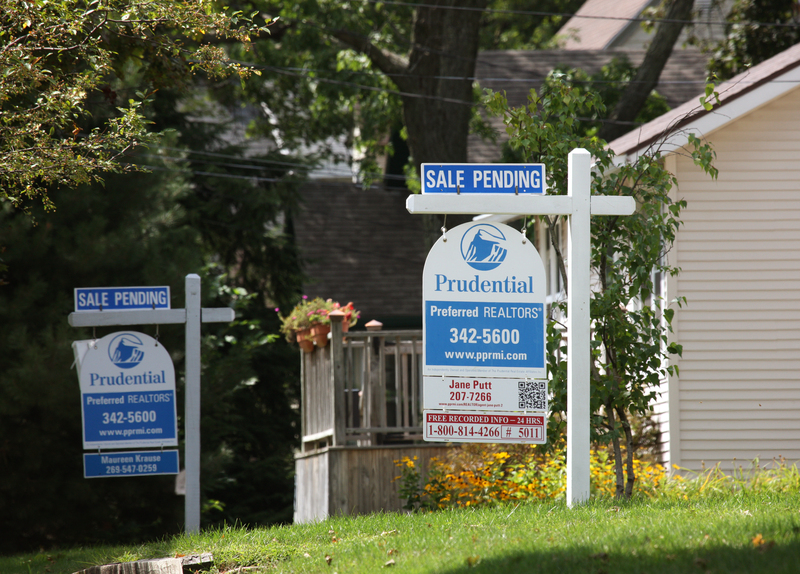 Kalamazoo ranked 80th highest in foreclosures last year among the 206 largest U.S. metro areas surveyed by RealtyTrac Inc. That was the best performance among the seven biggest metro areas in Michigan. I'd like to offer a couple of comments on this article... The Kalamazoo Promise was in fact funded by a group of anonymous donors, not a single donor. As of September 2010 (2011 #s are not available yet), the Kalamazoo Public Schools district had grown by 20 percent -- an unprecedented increase across urban school districts in Michigan (and elsewhere). Some new students have come from private/parochial schools and surrounding districts, but most of the recent growth is a decline in exit rates from the district. In other words, the number of students leaving KPS sometime during the course of their K-12 education is way down.